One of my favorite summer movies has recently been released on Blu-ray and I am SUPER stoked! 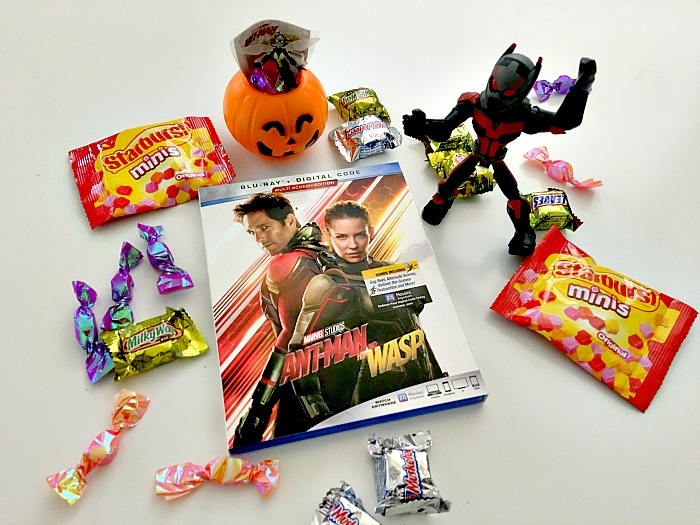 I’m even more excited because I have the opportunity to hook up one of my readers in a major way… with an Ant-Man and The Wasp Blu-ray & Digital Copy Giveaway!!! 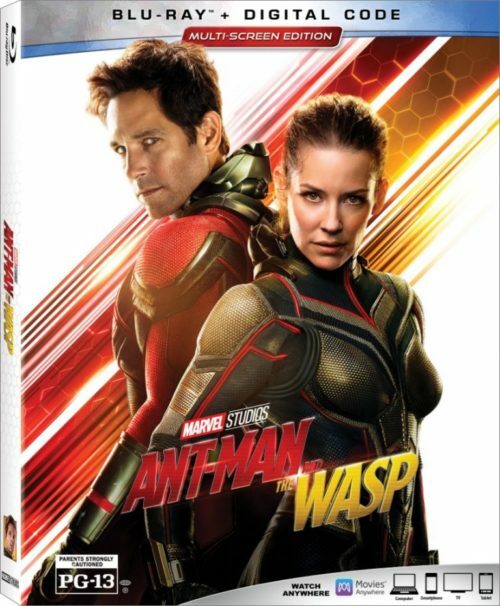 Ant-Man and The Wasp” returns director Peyton Reed to the franchise and stars Paul Rudd (“Captain America: Civil War,” “Knocked Up”), Evangeline Lilly (“The Hobbit: The Battle of the Five Armies,” “Lost”), Michael Peña (“The Martian,” “Fury”), Walton Goggins (“Vice Principals,” “Six”), Bobby Cannavale (“Vinyl,” “Chef”), Judy Greer (“War for the Planet of the Apes,” “Wilson”), Tip “T.I.” Harris (“Sleepless,” “Get Hard”), David Dastmalchian (“Twin Peaks,” “The Belko Experiment”), Hannah John Kamen (“Black Mirror,” “Ready Player One”), Abby Ryder Fortson (“Togetherness,” “Transparent”), Randall Park (“Veep,” “Fresh Off the Boat”), with Academy Award® nominee Michelle Pfeiffer (1993 best actress in a leading role nominee for “Love Field”), Academy Award nominee Laurence Fishburne (1994 best actor in a leading role nominee for “What’s Love Got to Do with It”) and Academy Award winner Michael Douglas (1988 best actor in a leading role winner for “Wall Street”). It’s a must for any Marvel fan and a perfect way to introduce a newbie or a younger kid to the Marvel Universe. If you want a chance to win, just enter below!! Me and my son love Avengers Infinity War. I’m not sure I can pick one. I love Avengers Infinity War, Thor Ragnarok, and Guardians of the Galaxy. I love all of them..but Iron is my fave. My favorite Marvel movie would have to be Spider-Man 2. Sam Raimi did a brilliant job directing and Tobey Maguire is still the best Spider-Man in my opinion (well, except for that third film, Yikes!). Thank you for the chance to win. I would have to say that my favorite is actually the first Avengers movie for what it meant at the time and how it ties everything up to that point. Black Panther, then Thor: Ragnarok. My favorite is Spider Man! My favorites are iron man, spiderman homecoming, avengers infinity war, guardians of the galaxy, and ant man! My favorite Marvel movie is Deadpool. Surprisingly, Dead Pool is my fav. It is hard to select a favorite Marvel movie. It might be a tie between Thor Ragnarok and Guardians of the Galaxy. I also love when Thor meets the crew from Guardians in Avengers: Infinity War. Guardians of the Galaxy is my favorite. Iron Man is my favorite Marvel movie. I like Iron Man and Xmen.